Good morning everyone! It's Angie here today. I'm so excited to share my sketch with you this month. Now it's your turn. If you want to play along with this week's Sunday Sketch and be eligible to win a $5 gift certificate, create a project based off of the sketch and upload it to CTK Gallery by next Saturday, August 6th. 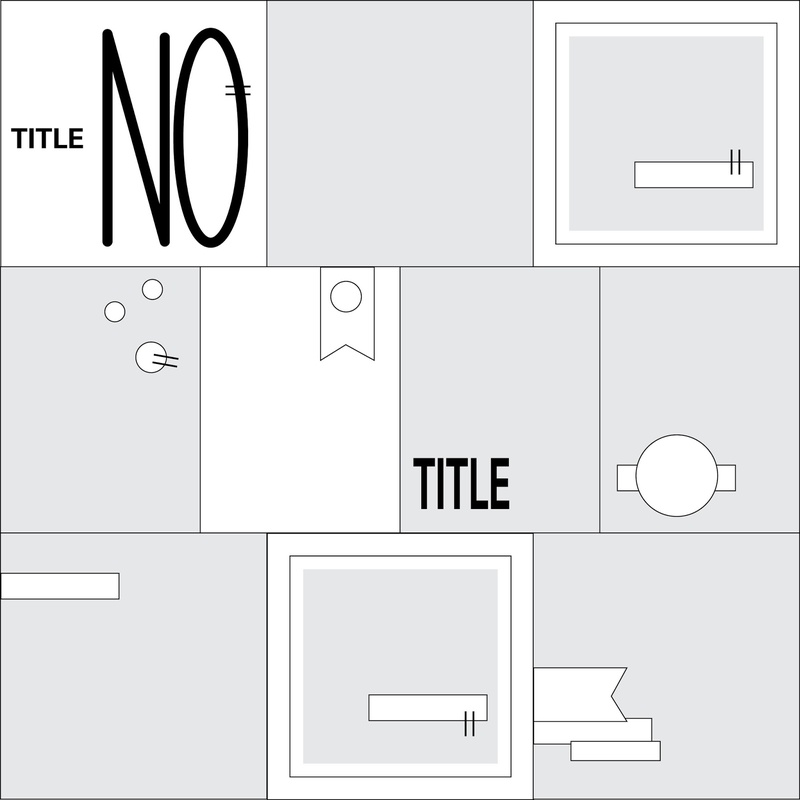 Please make sure to include "Sketch 7/31" in the title line of your project. I hope this inspires you to do the sketch this month! 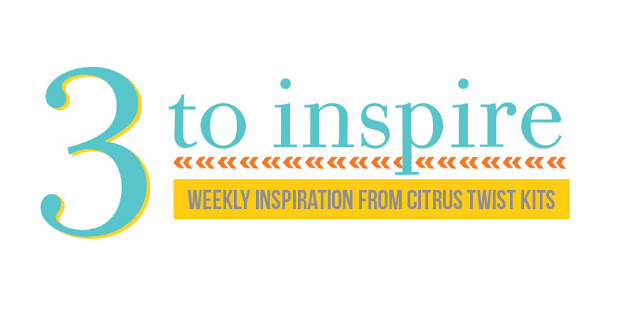 Hello, it's time for this week's "3 to Inspire" Challenge! 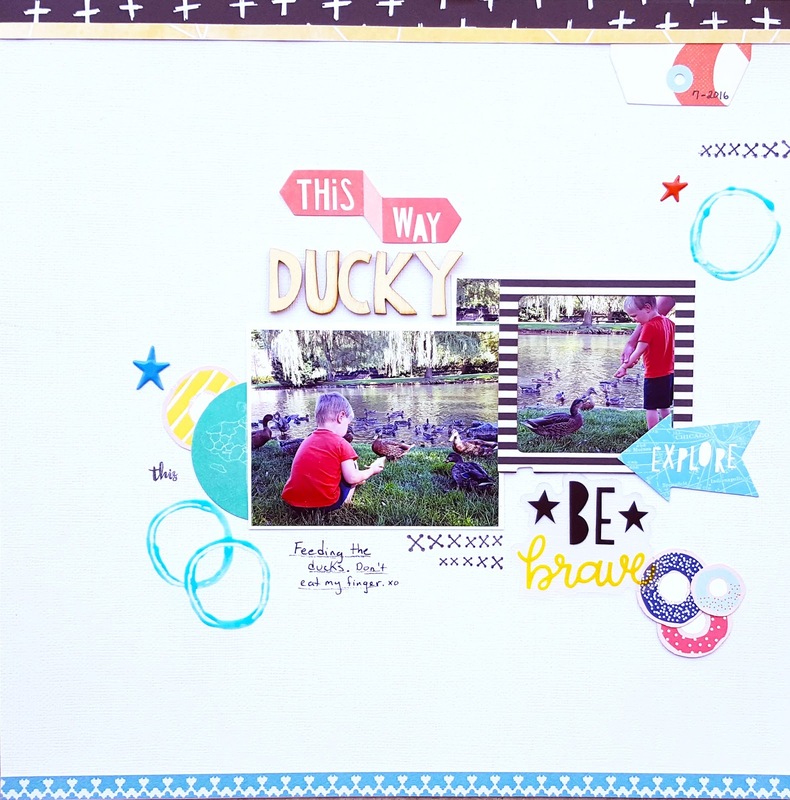 I've started with a mixed media background on this page, but you don't need to - it's just my 'go to' with most pages! 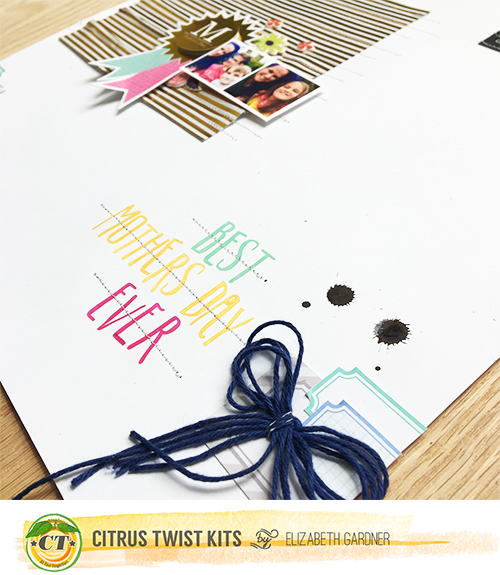 You might like to add a splatter of colour as a finishing touch instead. Now it's your turn! Use the three prompts to create your own interpretation and share it with us here in the gallery. You will be eligible to win a small prize from the CTK Store. 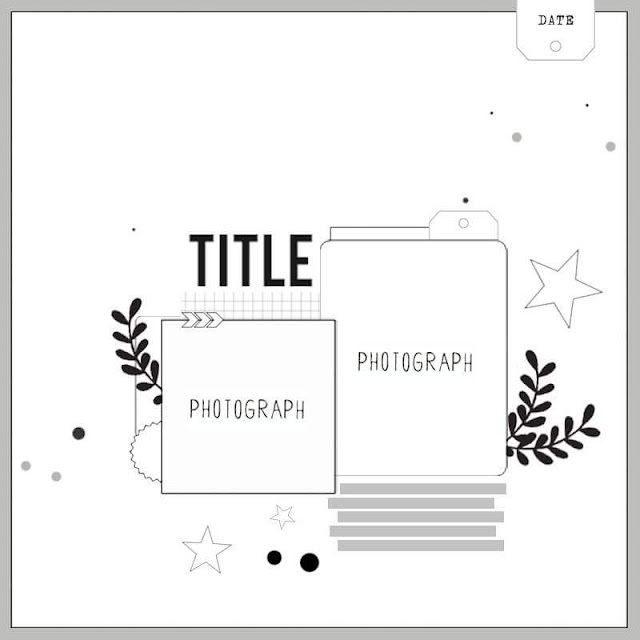 Please include the date of the challenge in the title when uploading to the gallery. Looking forward to seeing your take on this! I'll be taking a little break designing over the next couple of months as we tour through Canada and the USA, by that time I'll be ready to get my CTK fix again in October! 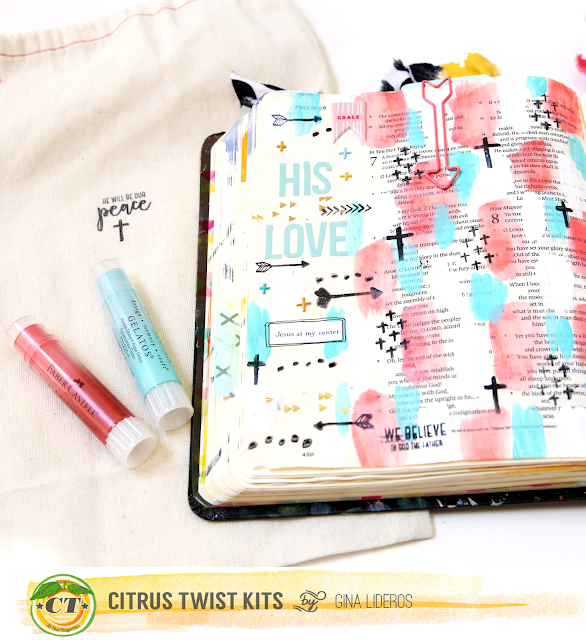 I used as much pink as I could from the Citrus Twist Kits July Pocket Life kit for this week! 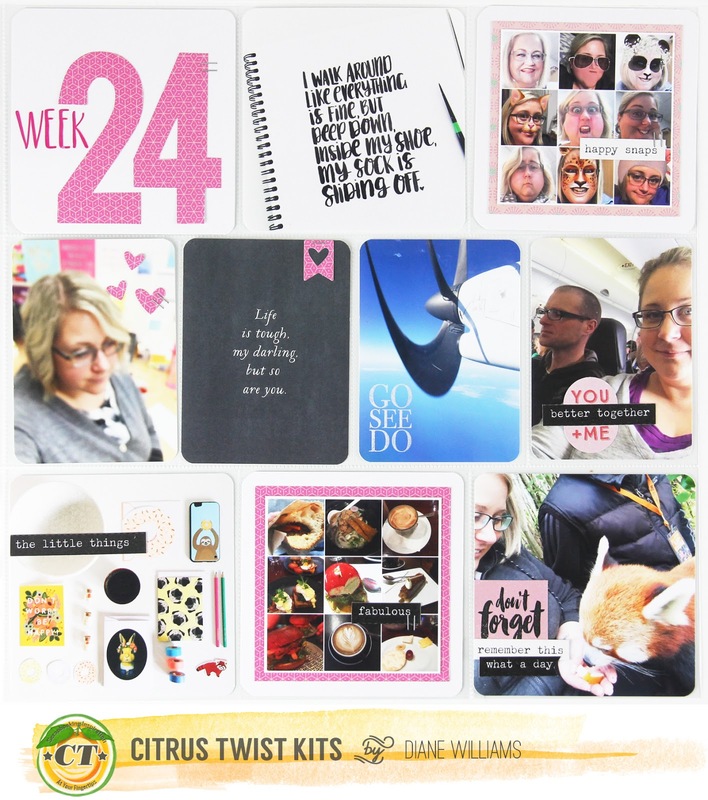 Thanks for visiting Pocket Life Friday, where every week we share PL sketches and a chance to win. 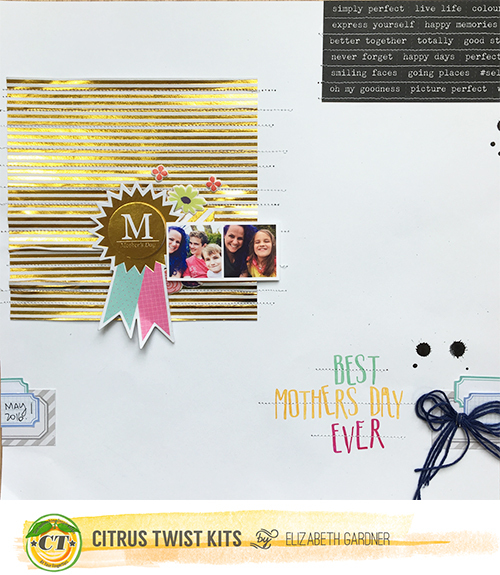 For your chance to win, create a layout based on the sketch in this blog post, post your layout to our Gallery or our Facebook Fan Page by Friday, August 5th 2016. Be sure to include PL 07/29 in the title! Hello everyone, it's Tara here sharing my DIY Snapshots mini album. I have been feeling the itch to create a few mini albums to give away and I finally decided to try one out. Since I will be mailing it out, I had a few criteria to meet: light weight, small enough to display or take/move around, and interactive. 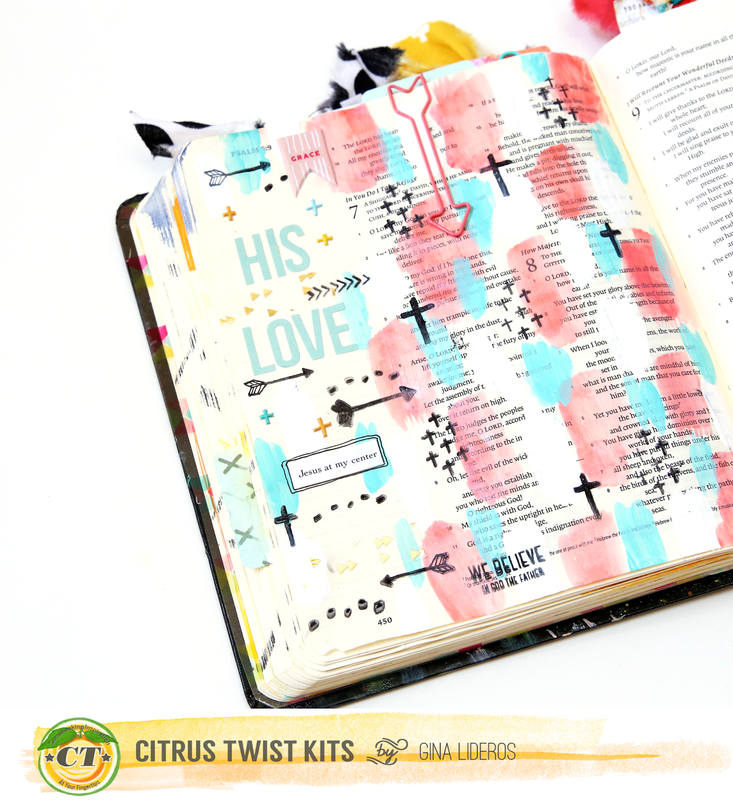 I found a great accordion mini album tutorial that Stephanie Bryan made here. It required no stitching and seemed easy enough, so I decided to give it a go! 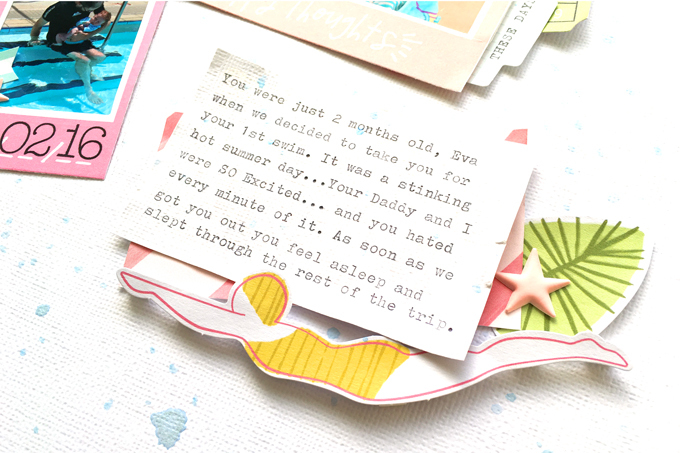 I used the cute heart patterned paper from the July Driftwood Main Kit. The heart cork piece was from a past Citrus Twist Kit and worked so well with this month's Pocket Life Driftwood Kit Cocoa Vanilla snip its. I ended used two strips of 4x12 pieces instead of three, mostly because I mis-cut the last piece, but I loved how it turned out! 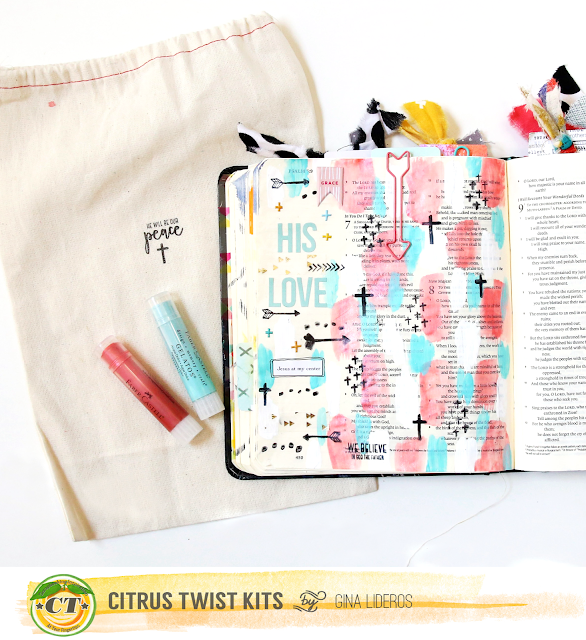 I wanted to add some interactive parts and also hide the journaling. I did this with a tag cut down from my stash. I also re-used a glassine bag from the kit to create a pocket for my tag. 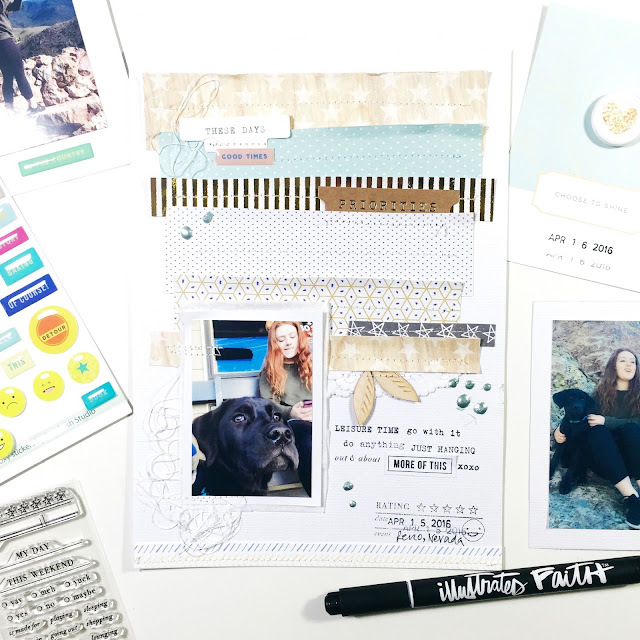 I can't get enough of that black and gold dot paper!! It's such a nice compliment to all the bold and bright colors. I used both stamp sets from July's Main and PL kits. 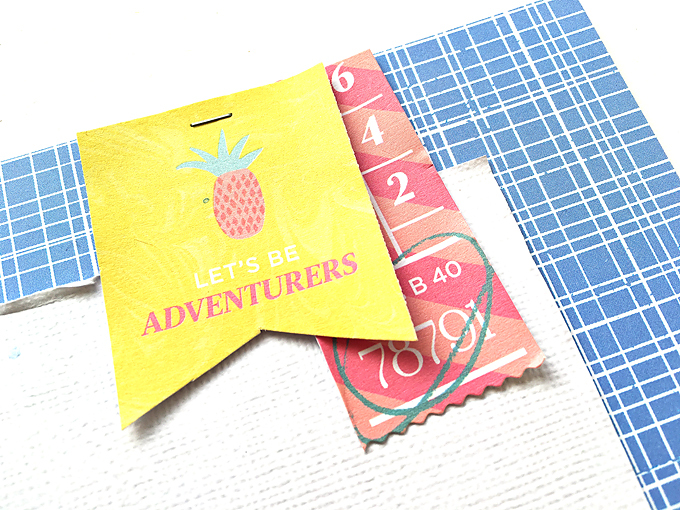 I have a slight addiction to stamps and always find a place to add them. 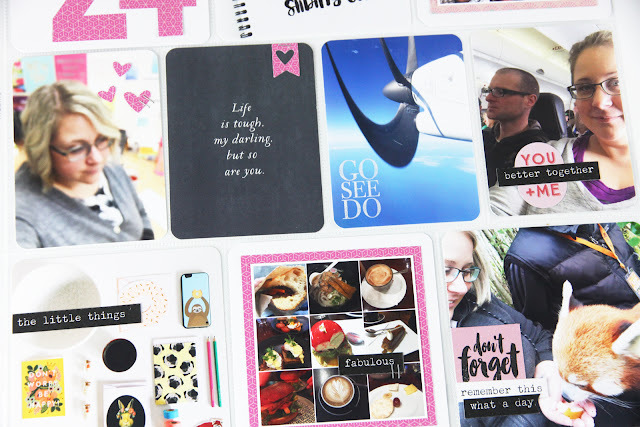 I added more hidden journaling with the "notes" snip it tucked behind the photo. 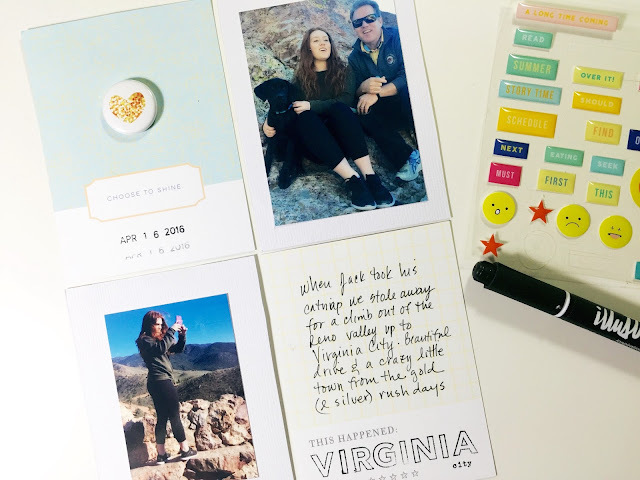 On the tag, the "Hello, I Love You" phrase is from the Maggie Holmes Shine roller stamp. It's one of my favorite roller stamps! Here is an idea of how small it is! I love how my mini album fits in my hand so easily. It's a great size and I plan to make a few more to give to friends and family. Thank you for joining us today! 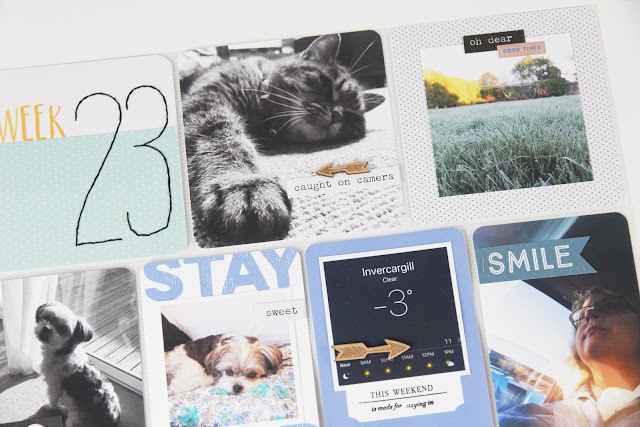 I hope you try making some of your own mini albums too. Hello there, everyone. I hope you're having a stellar summer. Seems to be flying by, right? Today I am here to share how I've used the July Pocket Life kit to create not one, but two traditional layouts. One thing I love about these kits is that they are so versatile. I'm often using the Scrapbook kits to create pocket pages... and the Pocket Life kits to create full layouts. I'm basically winning, no matter what ends up in my mailbox. Kinda digging the look of this blown out photo and the way the filter matches the paper. Here is another 6x6 sheet that begged for a full 12x12 treatment. It's shiny and gold, and I absolutely love it. Before adhering it to the cardstock background I bent and folded it so it would have a bit of texture. Just a few quick embellies, a title and, boom, layout done. 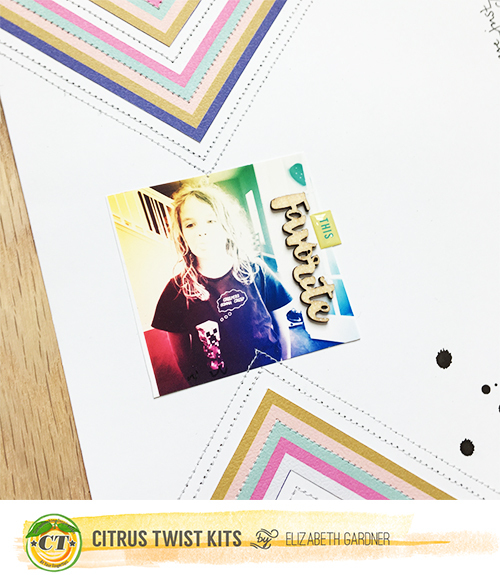 Have you ever used one kit to create another kind of scrapbook project? I'm telling you, these kits can do anything your creative little heart desires. Pretty great, right? Happy Tuesday everyone!! 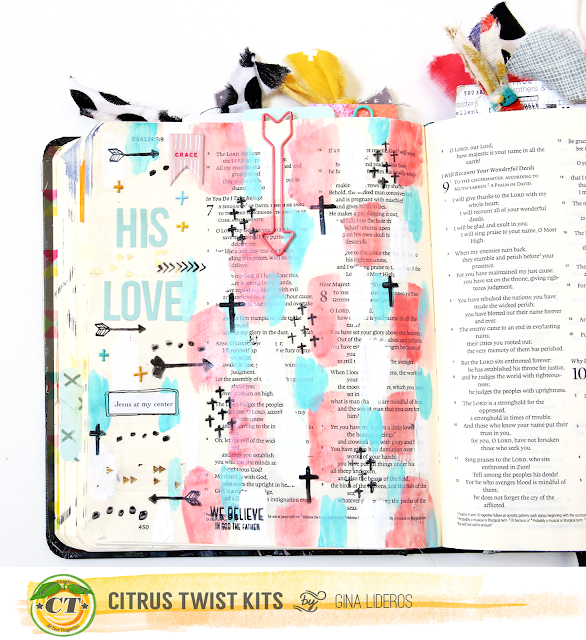 I love making mixed media art with my kits and I'm here to share a really easy one with you today. Here is what you need: a canvas, a kit (or paper), and a circle cutter or punches. 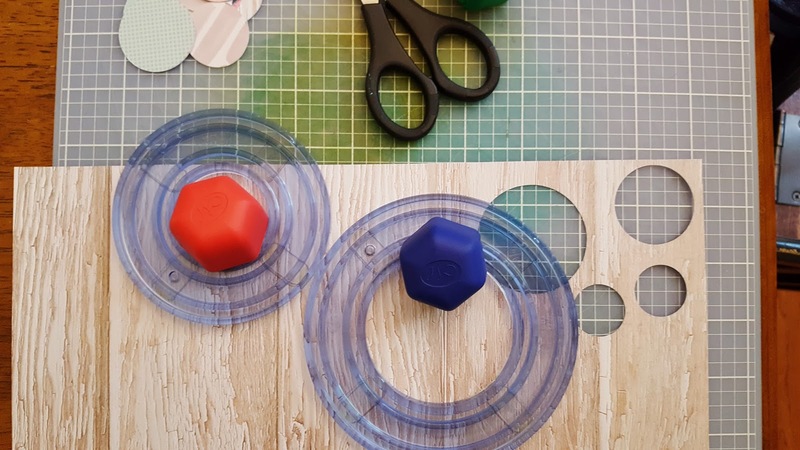 First, I cut out circles with my Creative Memories circle cutters, Yes, I still use these and they come in handy when you need multiple sizes. And in case you want to know, I used the smallest circle with the red and blue blade to get the 2 smaller circles and for the largest circle I used the medium circle and the blue blade. Next, you adhere them to your canvas with Mod Podge or some other type of adhesive that will hold really well. 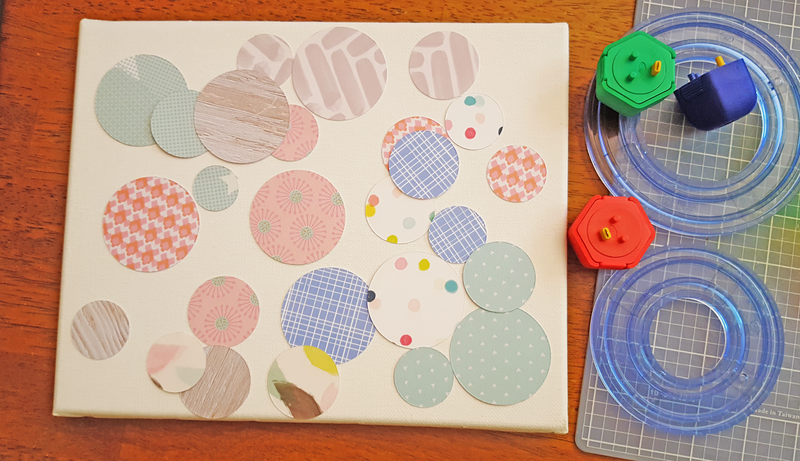 After you layer your circles you can now add stickers or other embellishments. 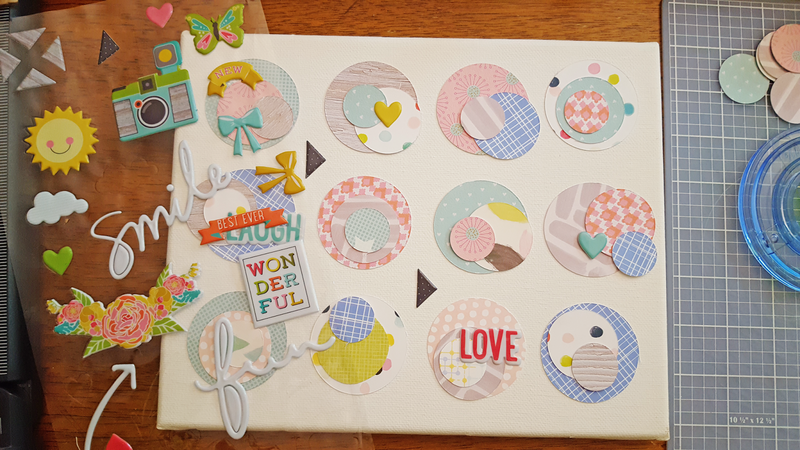 And to add some more fun I used the paint that came in this months kit and painted around some of the circles. Here is my finished project ready to hang in my daughter's room! I'm not going to lie I tried really hard to stack it neatly like the sketch. You know how much I love neat and tidy but it began to look like a game of Tetris and you can send yourself bonkers trying to line everything up. So instead I decided to embrace my inner Suse Fish. This month I was working with the Driftwood Main Kit and the Heck Yeah Add on. 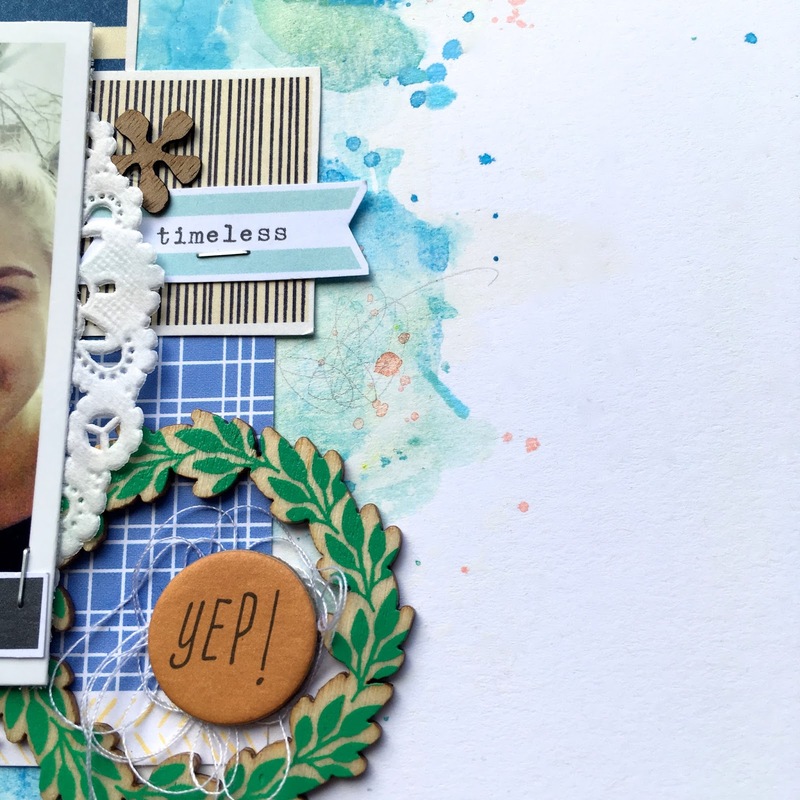 All that was pulled from my stash was the Heidi Shine in Ocean, Kelly Purkey's Alder Alpha stamp set, a few pop dots, the random blue 'Oh yeah' clip I found on my desk go and my tiny attacher. Not bad huh? Now it's your turn. 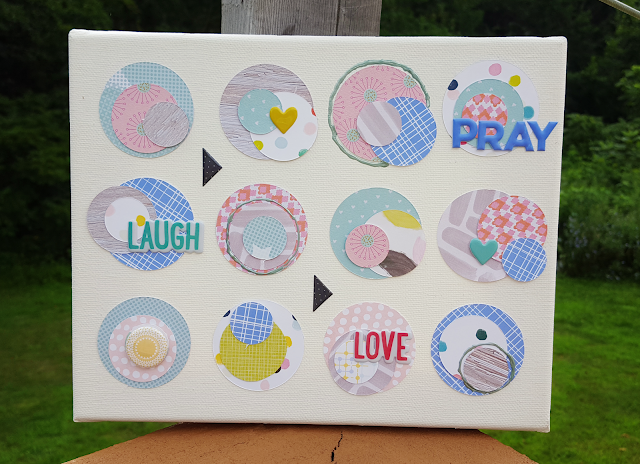 If you want to play along with this week's Sunday Sketch and be eligible to win a $5 gift certificate, create a project based off of the sketch and upload it to CTK Gallery by next Saturday, July 30th. Please make sure to include "Sketch 7/24" in the title line of your project. It's time for our weekly 3-to-Inspire challenge and a chance to win happy mail! For this challenge I played with our Driftwood Pocket Life kit, current and past kit stamps, plus a couple of items from my stash and the Driftwood Main scrapbook kit. Use stamps to create your journaling. 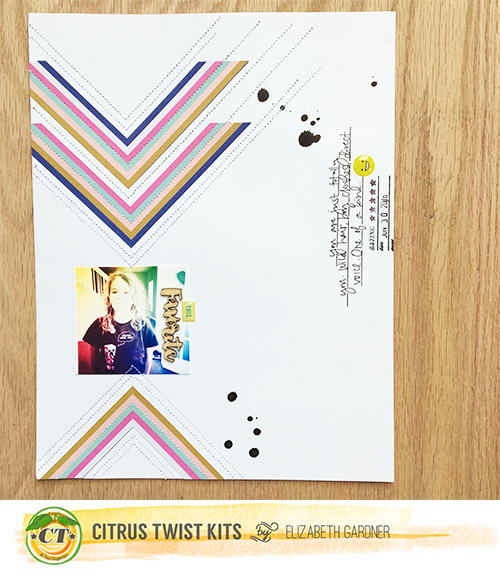 Cut up pattern paper into strips and create a layered background with them. Use a product you haven't used before. Use stamps (I used multiple!) to create your journaling. Have fun with this. 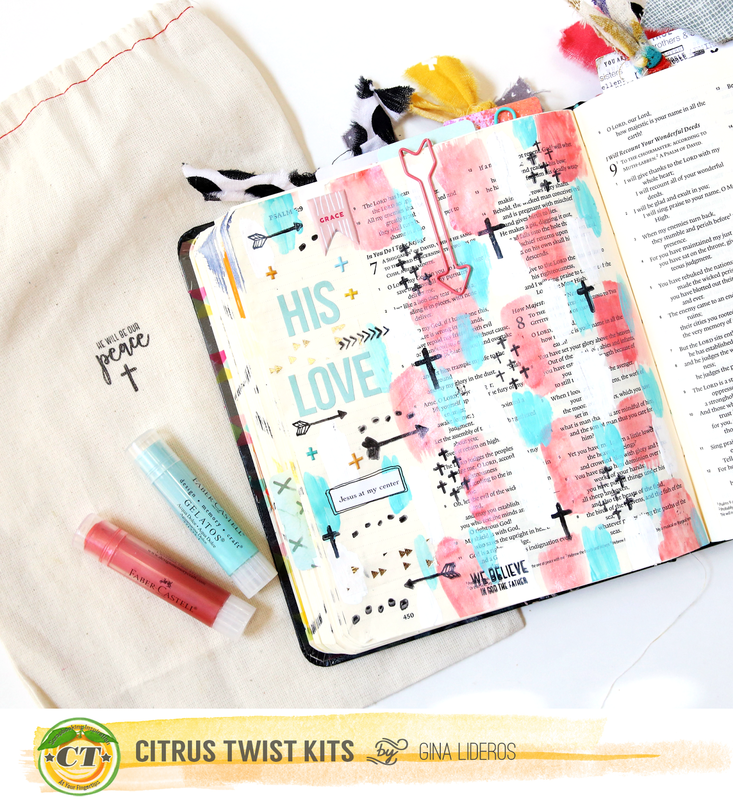 Cut strips of pattern paper, layer them and stitch. I cut my strips with scissors. 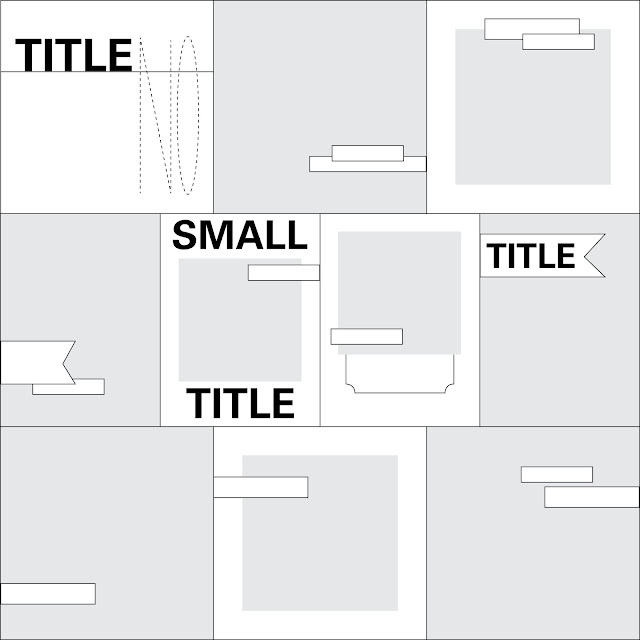 The width and length are varied to create interest. After the strips were stitched down, I tucked ephemera in between some of the strips. 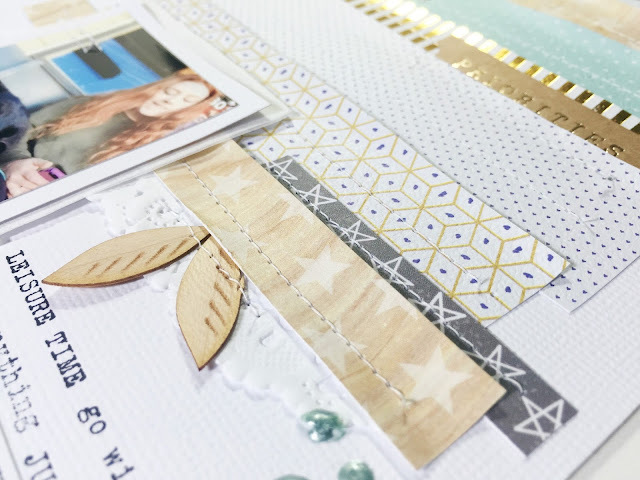 One strip layer was created with pieces of white doily. My product is Nuvo Crystal Drops. 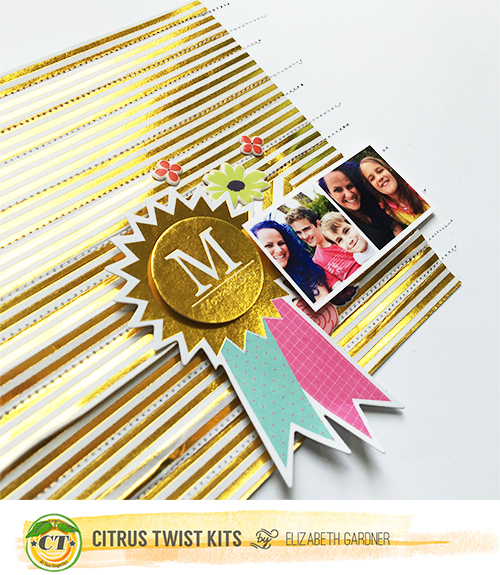 (We also carry the Nuvo Crystal Drops in the Citrus Twist Kits Shop.) 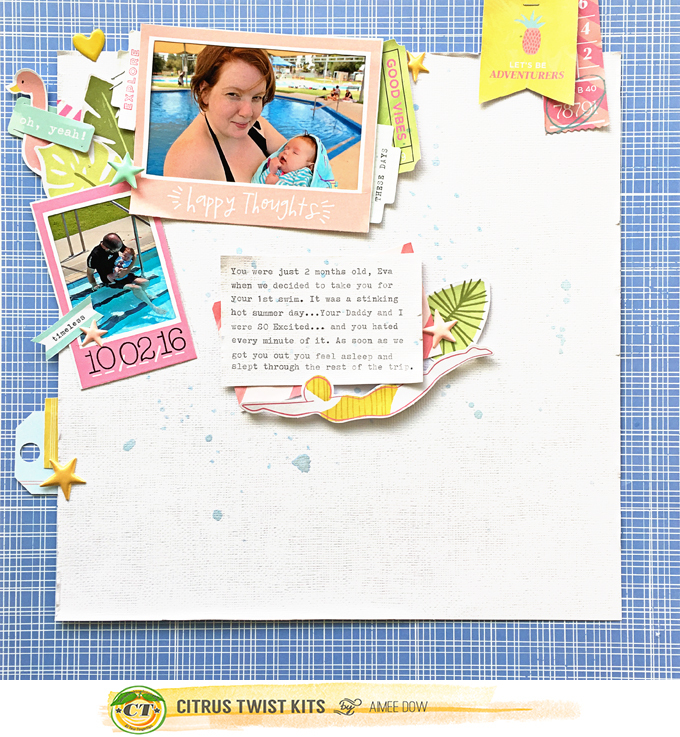 The Main Driftwood scrapbooking kit has a bottle included in it in fabulous Neptune (used on this layout). These drops were fun to use. 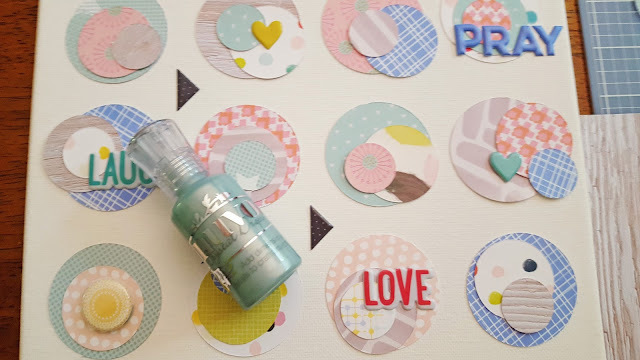 I applied them directly onto my page and accidentally smeared one as I put some finishing touches on my page. Next time, I'll apply them directly then walk away from my desk for a few hours while they dry. After about 5 hours the enamel drops were dry enough to come back to my layout for more play. 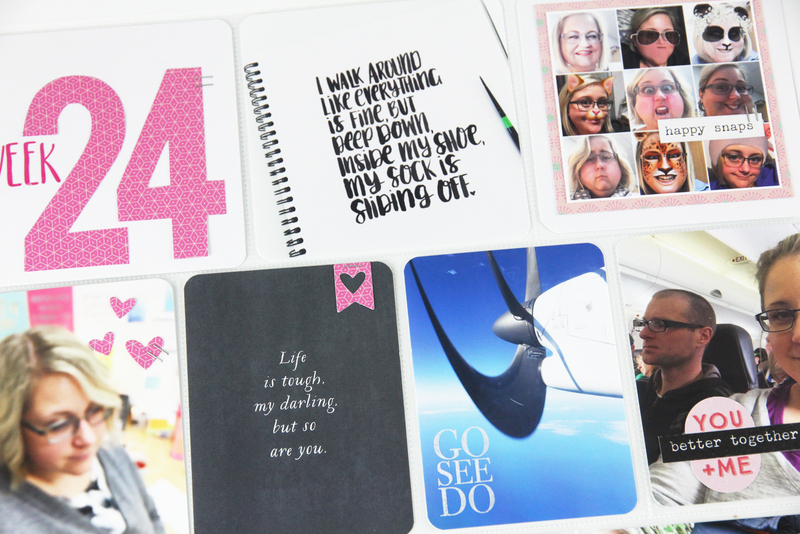 My 3-to-Inspire page also has a corresponding pocket page. 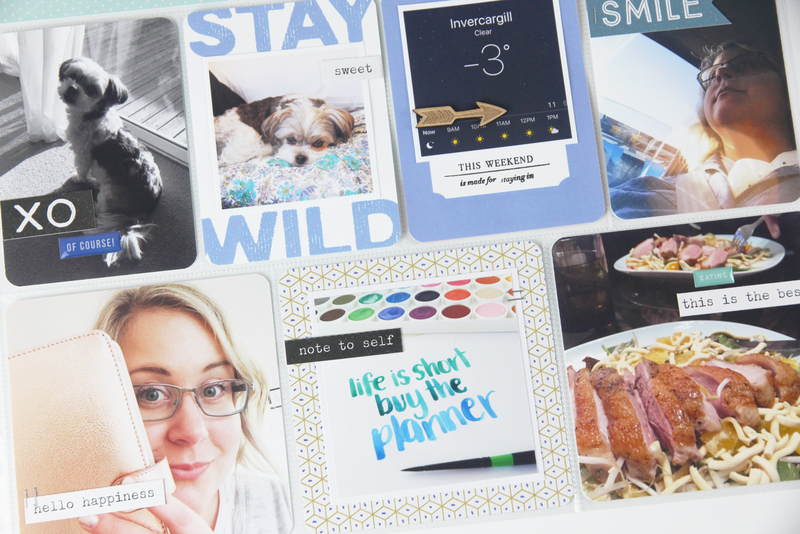 I kept my pockets super simple with an emphasis on pictures and journaling since the facing layout page was busier. 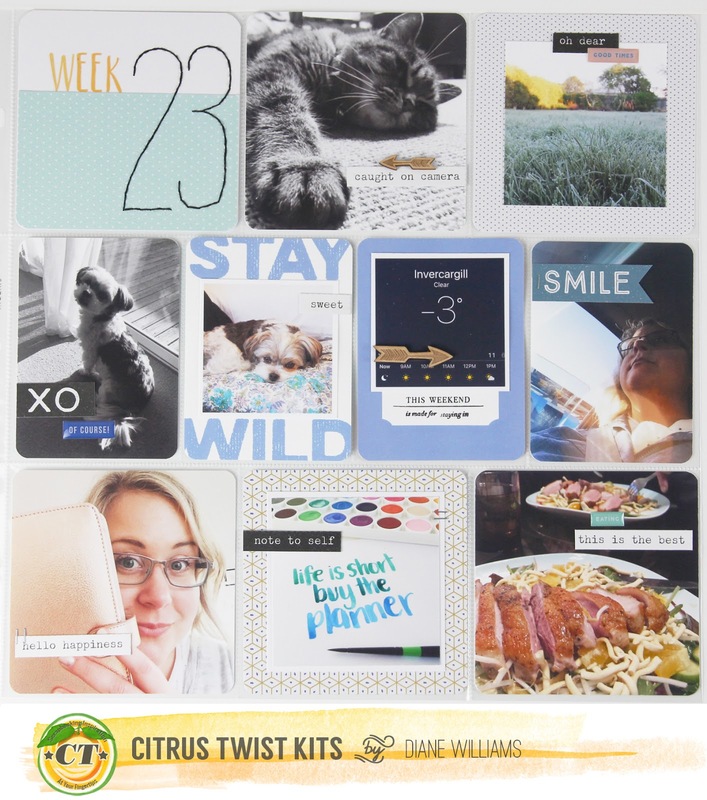 The little epoxy stickers in this month's Driftwood pocket page kit are perfect for your PL! Here is a close-up of my finished layers. Now it's your turn. 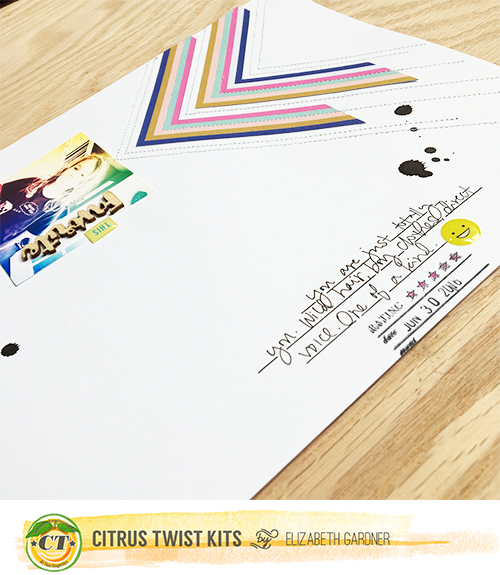 Use the three prompts to create your own project, share it with us here in the gallery and/or our Facebook Forum! 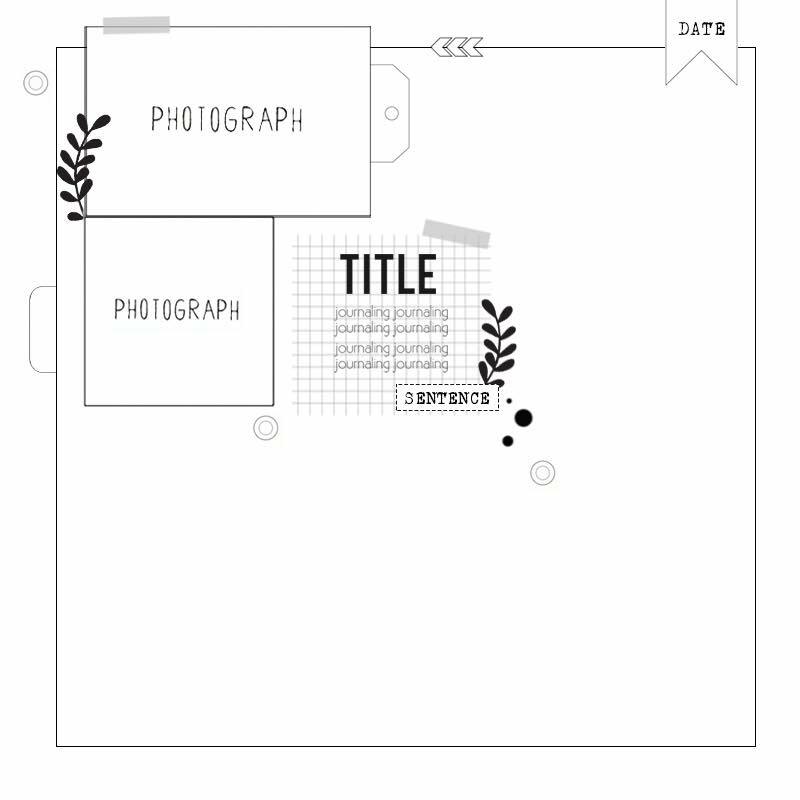 Make sure to include the date of the challenge (7/23) in the title of your gallery submission. I can't wait to see what you create!